A golf game in the Smokies! There's no better way to relax than with a great game of golf while being surrounded by the world's most beautiful mountains! THE GREAT SMOKY MOUNTAINS!! Ahhh...you're finally here! Your relaxing vacation in the Great Smoky Mountains has begun! 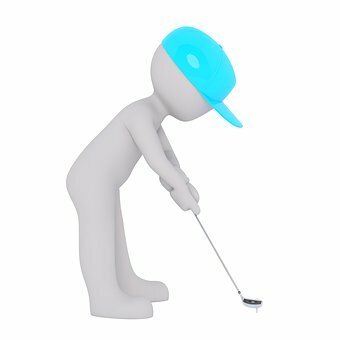 Now grab those golf clubs and let's check out the area's two major courses! 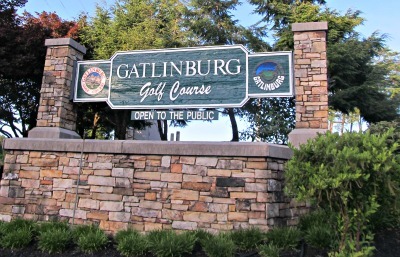 Gatlinburg Golf Course is located in Pigeon Forge, TN at 521 Dollywood Lane. This course is 6,281 yards of green surrounded by lovely mountain scenery. This beautiful course, located in Sevierville, TN is very easy to find! Just look for Wilderness at the Smokies, and Wyndham Resorts! The Golf Club is right next door! Again, the scenery is truly magnificent mainly because you're as "snug as a bug" in the Smokies! You're well accommodated with amenities, services, and presentations for a small fee. This "state of the art" private club offers two 18-hole championship courses. "The Highlands" is a par 70 through hills and ponds. "The River" is a 72 par both near, and across the Little Pigeon River. The Sevierville Club offers an annual junior clinic during the summer. Children from ages 5-15 will learn everything they need to know about golfing. This clinic includes instruction, games, and competition. Teaching stations are set up to learn every aspect, and prizes are awarded in competition. For complete cost and further information, call 865-429-4223. 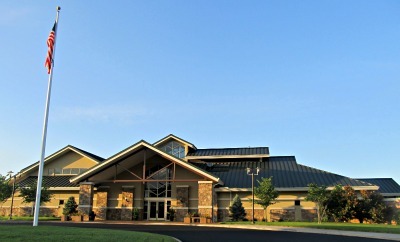 Sevierville Golf Course is located in Sevierville, TN at 1444 Old Knoxville Hwy. The Championship Course is recognized as one of Tennessee's top courses. Golf Digest recognizes this course as one of the top ten course renovations in the country. There is a driving range, pitching area, practice bunkers, and putting green. Both Gatlinburg, and Sevierville are sure to bring fun, and exciting challenges to your golf game! So, go ahead! Take the challenge...and have the time of your life golfing in the beautiful Great Smoky Mountains! There are many golf courses in the surrounding counties of the Great Smoky Mountains. For a complete list check out Smoky Mountain Vacation's golf information page.